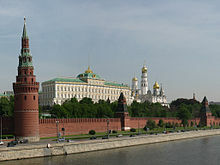 Welcome to the WMU Libraries' class guide for PSCI 3440 : Russian and Central Asian Politics. This guide includes information resources to help you find books, journal articles, newspaper articles and Web sites to help you complete your research paper. Use the tabs at the top of the page to help navigate through this guide. For assistance in doing your research, please contact me or any other librarian. Ask Us! is just a click away!